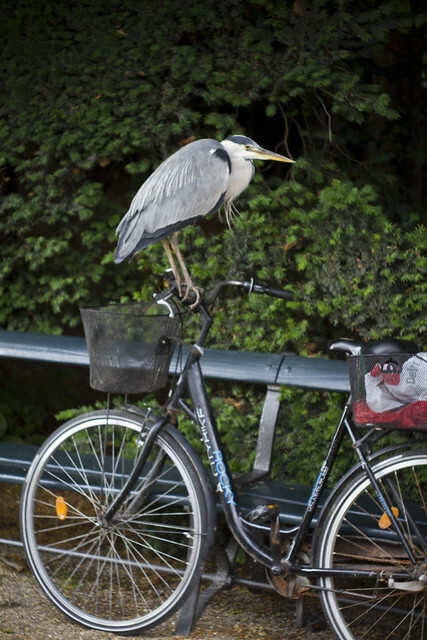 Just when you thought you'd seen it all in Copenhagen's bicycle culture... a bicycle used by a heron as a perch. 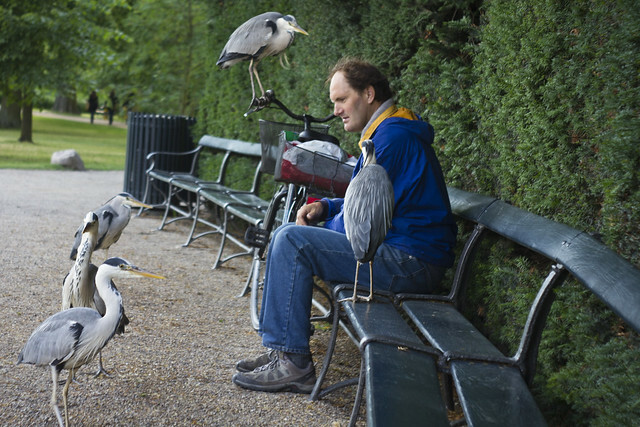 This chap feeds the herons in Frederiksberg Gardens. It appears that he has trained them, despite them being wild, to some degree. 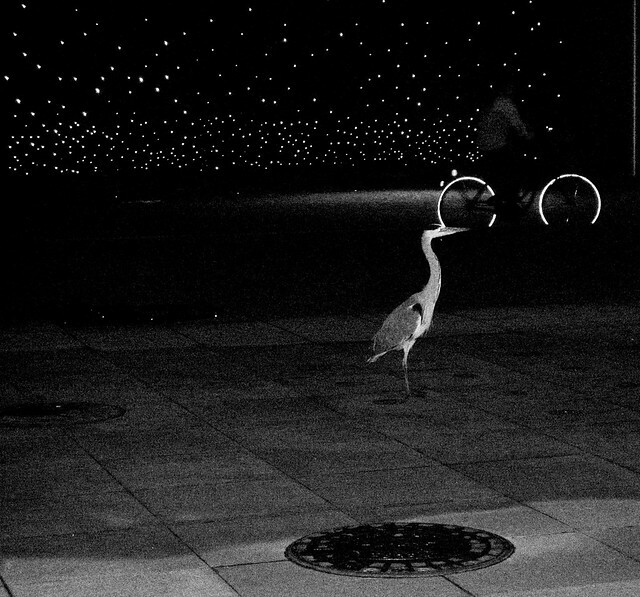 They got spooked a couple of times and then used hand signals to get one up on the handlebars. He was trying to get one up on his knee, too. Speaking to them in low, calm tones. Fascinating to watch.